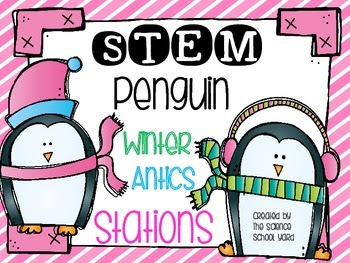 This week, we celebrated with a penguin antics winter fun reward party in 4th and 2nd grades. 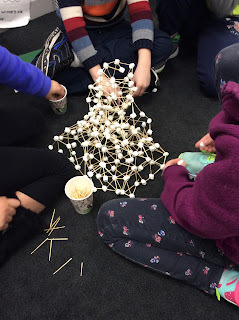 Second graders learned about working as a team after reading Tacky...then with tape and paper they started their penguin palaces to see who could build one as tall as possible that fits Tacky on top. They could earn bonus items after waddling over to get a vocabulary question...can they remember what opaque means....we shall see! 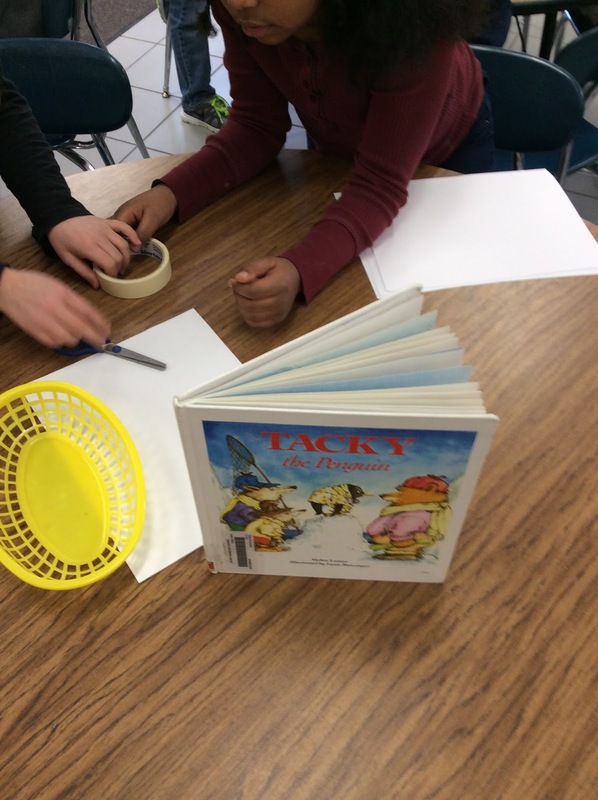 The planning stage...working together...listening to everyone's ideas before starting is key to successful teamwork! Modifying and adjusting is also important as you take a look at the raft below! Fourth graders, for a motivational goal, they needed to pass their bones identification test to have an engineering reward. They could pick what materials they wanted to use in order to build their palaces. 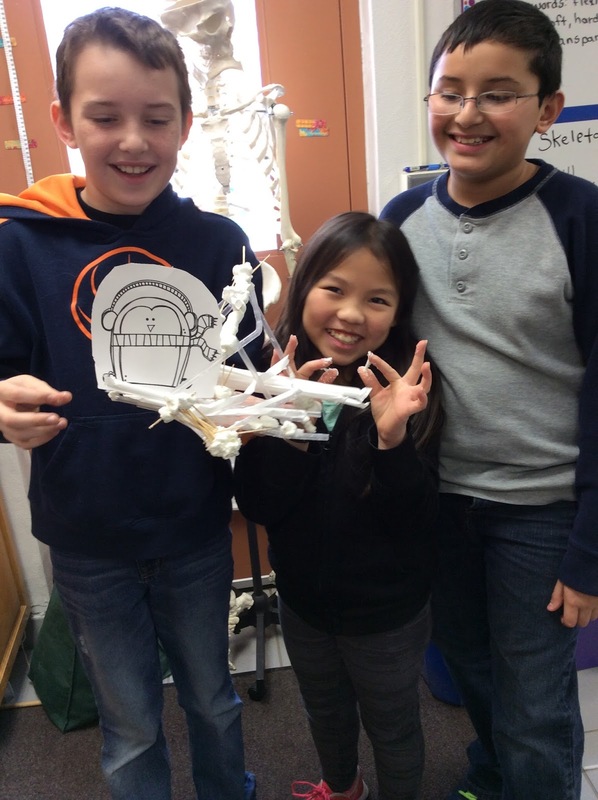 The other students worked with me on studying the bones...a retest...then an oral Simon says...game to help them remember. 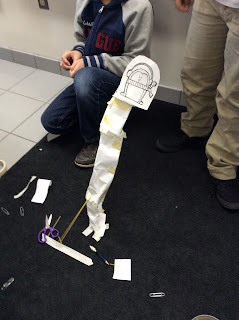 I love the final results...the smiles....the team work! With melty marshmallows...they decided Tacky could use a raft instead! 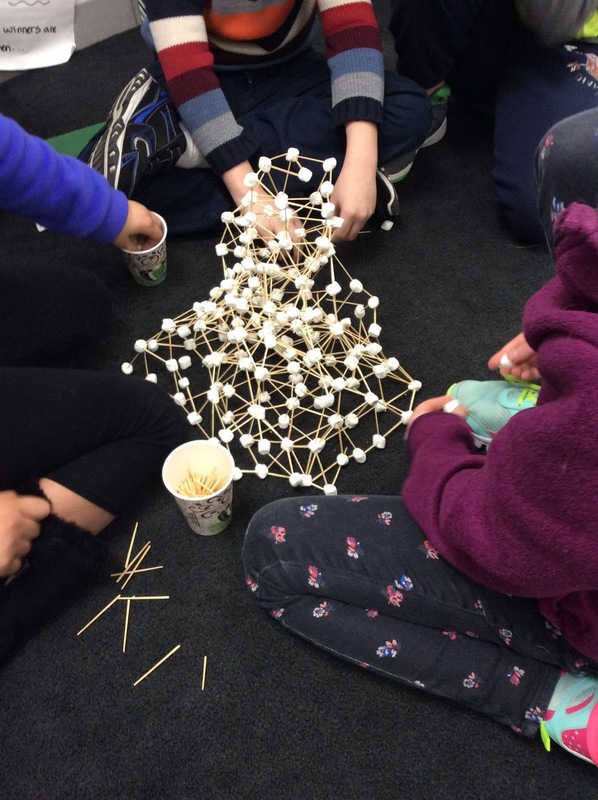 This tall marshmallow tower was a hit! Tacky loved his palace! Love the smiles on their faces when they are successful team members and have fun to boot! 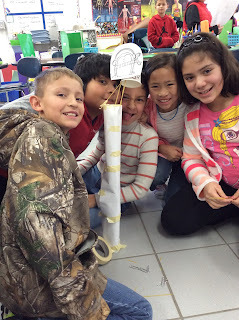 Noodles were a great addition to this tower!